Landscape Architecture plans, designs, and manages all site and landscape improvements for new construction and the renovation of existing facilities at Indiana University. 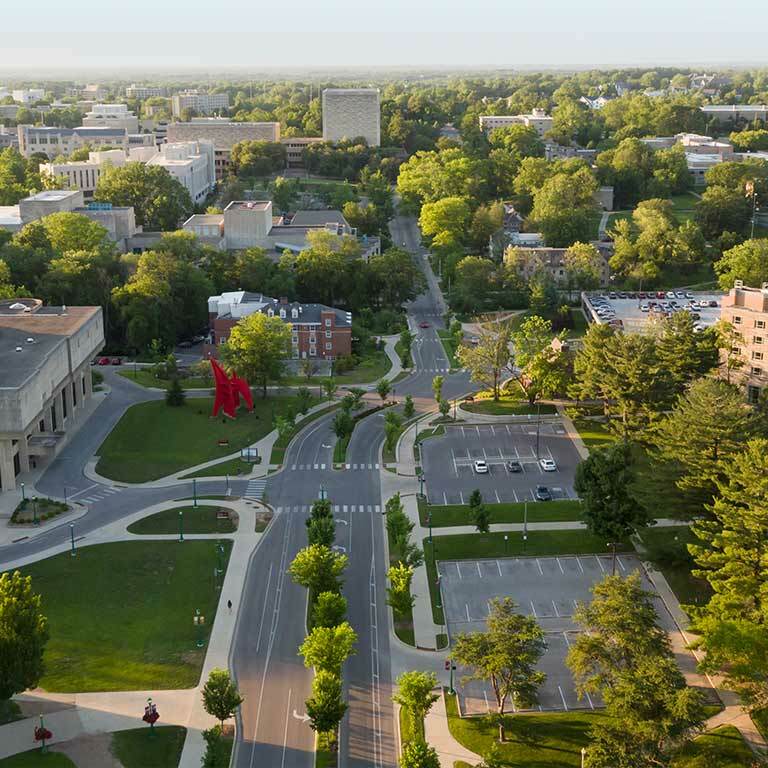 We also help create master, land use, and open space plans that guide the future development of all IU campuses. We offer opportunities for donors to ensure IU campuses remain beautiful for generations to come through our tree and bench donor programs. 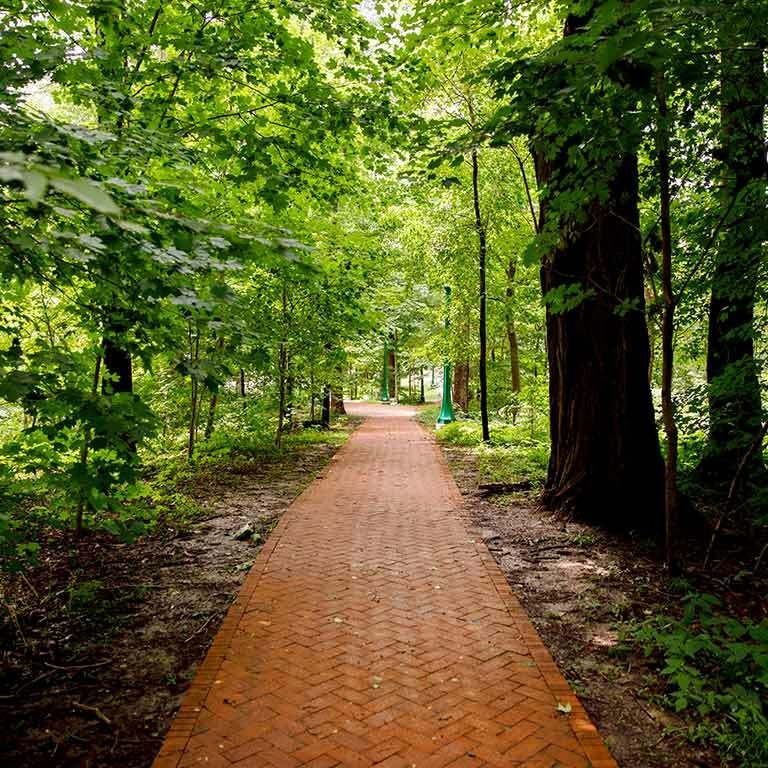 You can donate funding to have a tree planted on the Indiana University campus. Write “IU Tree Donor Program” in the memo line of the check. If you would prefer to support the care and planting of all trees on the Bloomington campus, please contact the IU Foundation at 1-800-558-8311 for information about the Bloomington Campus Tree Restoration Fund or make a gift online. The tree identification and donor plaque will be made of heavy-duty laminated plastic with a brushed aluminum veneer. The 4" x 6" plaque will be engraved with black lettering. Information on the plaque will include the scientific name, common name, and origin of the plant. It will also include up to three lines of donor-provided text. Each line will be limited to a maximum of 45 spaces. If an additional line is required, then the letter size will be reduced. The following is a list of trees available for named tree donations. The actual species will be selected by the university’s landscape architect. Please keep in mind that not every tree on the list is appropriate for every location on campus. If you feel strongly about the location of the tree you are donating, then greater flexibility about the type of tree will be required. If you feel strongly about donating a certain type of tree, then flexibility about its location on campus will be necessary. Contact Debbie Freeman in the Capital Projects business office at 812-855-4271. You can donate funding to have a limestone bench installed on the Indiana University Bloomington campus. The bench will include a 2" x 6" brass plaque with lettering that you specify. The minimum donation required for a bench is $2,500. Additional contributions are welcome and go directly to the maintenance of benches that are part of the donor program. Write “IU Bench Donor Program” in the memo line of the check.